Is it Friday yet? No? OK then, I'm not listening. The foots won't listen either. Nope- not Friday - back to sleep. Comfy Dougie prefers to sleep in the sunshine than to eat dinner. Then he wakes up and realizes he's starving! 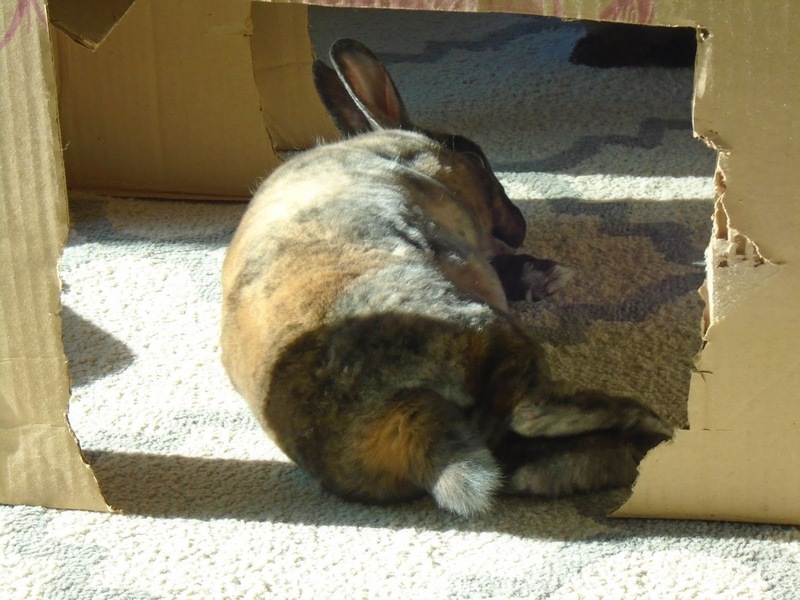 My day is made--a bunny snoozing in the sunshine. How byootiful.